-- Locked in an unexpected land dispute, Rafe Stryker is trapped in the one place he vowed never to return to—the Castle Ranch in Fool's Gold, California. He made millions facing ruthless adversaries in the boardroom, but nothing could've prepared him to go head-to-head against stubborn, beautiful Heidi Simpson. No one is more surprised than Rafe to discover that he's finding Heidi—and life as a cowboy—much more compelling than he wants to admit. 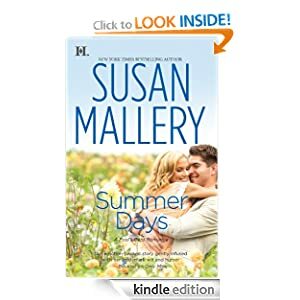 Summer Days or to sample this book for FREE! -- There's this boy. Let's say he's somewhere between nine and thirteen years old or so. You'd like to see this kid get creative. You'd like to see him get some exercise. You'd like to see him get out from in front of the television. And you'd love for him to be motivated enough to find some stuff to do on his own. This boy NEEDS The Big Book of Boy Stuff! Alphabetically arranged chapters range from "Dumb Directions on Products" to "Girls, Bullies and Parties," to "Man Food for Manhood!" (Spamburgers, crapola cookies, etc. ), and include activities, jokes, and a few facts. The author also points out that boys should really know how to use the kitchen and provides first-date advice. 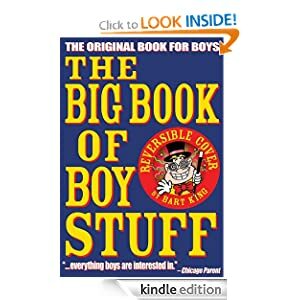 The Big Book of Boy Stuff or to sample this book for FREE! -- The 1940s: Hard-boiled detectives and femmes fatale are box-office gold. In one iconic scene, set in a deserted museum, the private eye arrives too late, and the buxom beauty is throttled by an ominous Egyptian priest. Now: The Black Box Cinema immortalizes Hollywood's Golden Age in its gallery of film noir tributes. But the mannequin of that Egyptian priest is hardly lifeless. He walks—and a young starlet dies a terrifying death. Movie mogul Eddie Archer's son is charged with the grisly murder. Eddie calls agent Sean Cameron, who specializes in irregular investigations. As part of an FBI paranormal forensics team, Cameron knows that nightmares aren't limited to the silver screen. 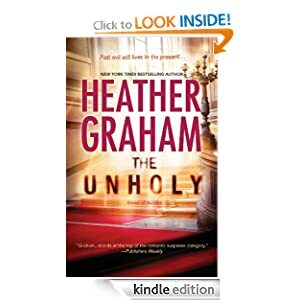 The Unholy or to sample this book for FREE! -- I'd like to tell you how incredibly funny The Big Book of Spy Stuff is. But unfortunately, that information is classified! From chaos to counter-intelligence, and secret messages to gadgets, The Big Book of Spy Stuff opens top-secret files on sabotage and espionage with humor and amazement. With King's entertaining book as a guide, you can pull the cloak of mystery away from history's sneakiest sneaks ... and can work on your own spy activities! But before you're granted a security clearance, take a good look around. Somebody might be watching you right now! 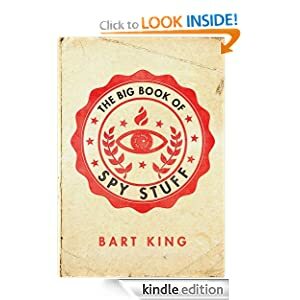 The Big Book of Spy Stuff or to sample this book for FREE! -- Nathalie can’t believe it. Her best friend Reagan is ditching her to be BFFs with the class popular girl. They’d been best friends forever, but when Queen Blair decides that she wants Reagan to be her BFF, Reagan is gone in a flash. Catherine and Isabel can’t believe it either. They’re best friends just like Nathalie and Reagan, and the four of them always hung out together -- but now what? Will Nathalie get Reagan back? Does she even want her back? Will the group ever be the same again? Confusion and hurt feelings take over -- and that’s just the start of it! 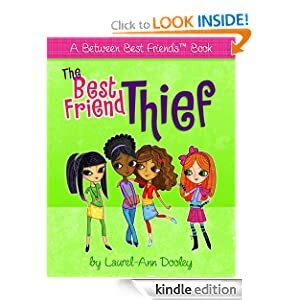 Best Friend Thief or to sample this book for FREE!